If you look at David Slade today, you’ll see a dedicated father, husband, nutritional health coach, Permaculture Farm business owner, and adjunct instructor dedicated to educating his students and the community about Lyme disease. You might not realize that seven years ago, he was very sick and confined to a wheelchair. Intolerable, insufferable, and unbearable are weak words to describe the long list of symptoms David had. What started off as fevers, dizziness, and fatigue progressed into lupus symptoms, insomnia, sudden allergies to prescription drugs and antibiotics, sleep apnea, chronic inflammation, lower extremity pain, a “stroke level” blood pressure, severe arthritis, fibromyalgia symptoms, leaky gut, brain fog, scent and light sensitivity, seizures, and wheelchair confinement–all by the age of 25. David and his wife sat down and traced his symptoms back to when he was 16 years old and got half a dozen tick bites after a day in the woods with friends. “Back then, no one was talking about Lyme disease. We got bit, shook it off, and moved on. I thought there was absolutely no way a centimeter-sized bug could cause everything that’s going on with me.” Yet, he now realized that was the turning point when his health started to decline. With firm nudges from his family, David started researching Lyme disease. Six doctors told him Lyme doesn’t exist, that he was a hypochondriac, and should just sleep it off. Finally, he found a Lyme-literate doctor, where he took the Western blot and ELISA tests. Both came back positive and the doctor put him on doxycycline. David was 33 years old when he finally got diagnosed. Healing from Lyme is no easy feat and requires much trial and error. David tried many treatment options that his body flat-out rejected. He and his wife educated themselves on health and nutrition. David was vegan at one point, which led to the realization that his body couldn’t tolerate pesticides. A non-organic salad would give him facial swelling and digestion issues. It was his wife who suggested they try switching everything in their house to organic. Once they made the switch to organic food, within nine months they saw drastic symptom reversal. Motivated by his son, David decided to wean himself from his wheelchair. He and his wife would go to the park early in the morning when no one was watching, and just take baby steps. “There I was, a big, tall man and a 4’10 woman helping this large guy walk,” David recalls. Slowly but surely, David got to a point where he could leave the wheelchair behind for good, and move forward with his new life. Through his struggle with Lyme disease, David found a passion for nutrition and a deep purpose to give back to his community with education. Now, David is an adjunct instructor at Keystone College in Pennsylvania, in addition to his personal coaching practice. He also organizes educational events in his community. Throughout his teaching journey, he has encountered doctors, families, and biology students interested in Lyme disease and tick bite prevention. He offers his classes at low to no cost, which he feels compelled to do because Pennsylvania is a Lyme-endemic state. He’s seen a hunter brushing thirty ticks off his jacket, he’s seen ticks all over pets and families, yet despite his awareness, his own son was bitten by a tick at four months old. David was in a rare situation and had to find what worked for him. Nutrition was his only option, and thankfully it yielded results. Each Lyme patient has his or her own path to healing. Sadly, because there’s a lack of research, it’s uncertain why treatments work differently in patients. “There’s no magic cure. Doing your own research can be the key to getting out of bed in the morning,” he says. 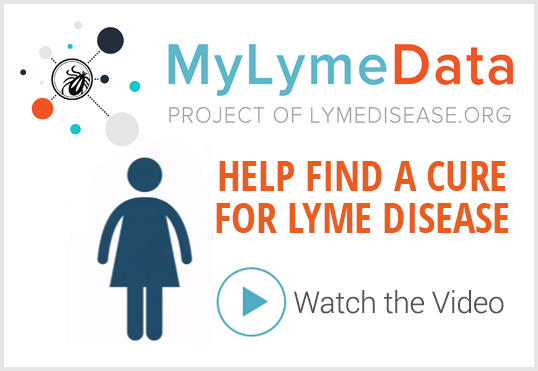 The fact that each patient is unique is one of the reasons that LymeDisease.org created a tool called MyLymeData, which allows patients to pool their information about how Lyme disease has affected them. What were their symptoms? What helped? What didn’t? Patients pool their information and learn from each other. Their answers also help researchers learn about the real-life experience of Lyme patients. 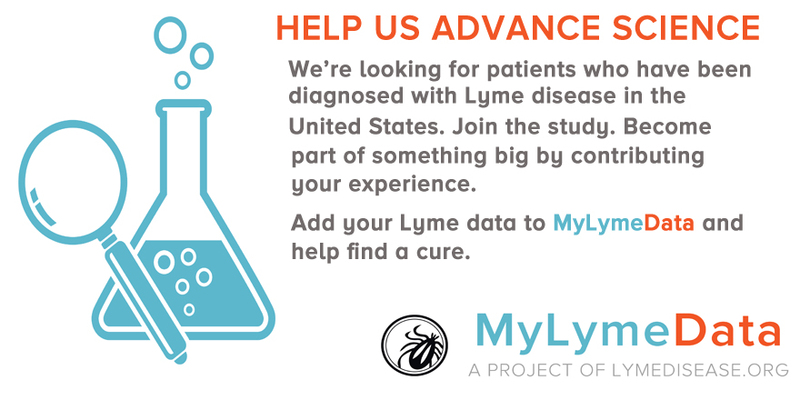 If you are not already a part of MyLymeData, join today. 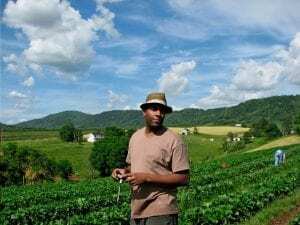 If you want to learn more about David and his organic farm or courses, click here. David says he no longer takes things like simple morning walks for granted. Now he wants to “pay it forward” and spread awareness about Lyme disease in a state that has the highest number of recorded Lyme cases in the country. Tiffany Salmon is a staff reporter for LymeDisease.org. 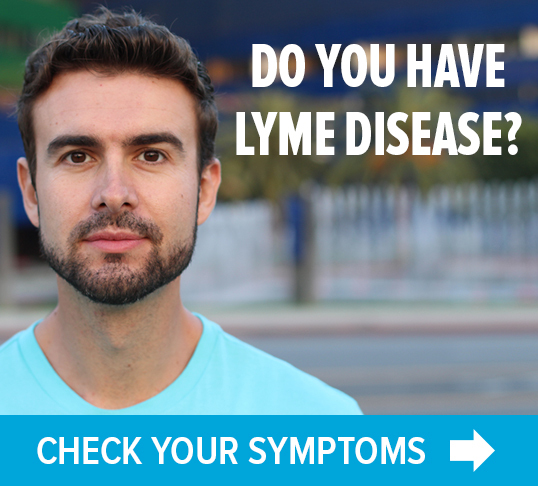 Thank you for your Lyme information. My daughter & I have suffered from Lyme Disease since 1987. Good information enclosed in your article. Thank you for sharing!!!! Did you go gluten and dairy free aa well? Been suffering for over 20 years ! Most dairy is a highly processed food. Pasteurization kills the enzymes needed to digest it and homogenization breaks the molecules down into sizes small enough to bypass digestion and enter the bloodstream. This can cause an immune response and inflammation. Look for raw, probiotic cheese and grass fed raw milk tested for pathogens. If you are going to consume gluten, consider grinding your own organic whole grain and making your own bread. Store fresh flour in the freezer as it is not shelf stable. Shelf stable flour is processed, even whole wheat. There is a link to David’s website in the article where he can be contacted by phone or email. Thank you David for sharing your painful, life threatening Experience.Wow, such a journey. Your wisdom and knowledge is important in this battle against Lyme disease.. Keep evolving… .Mom.